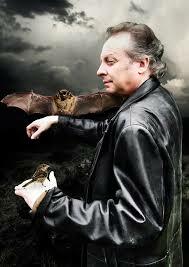 Mr Stephen Laws is the author of eleven (count ’em! Eleven!) novels, myriad short stories, and the recently re-released collection The Midnight Man. He’s also a columnist, reviewer and film festival interviewer; his Spectral Book of Horror story is the intriguingly titled “The Slista”. Being an avid ‘devourer’ of comics when I was very small, I can’t remember my first real encounter with a ‘horror’ story, but there must have been multiple aspects in the science fiction and fantasy tales that I consumed. But I do recall, having joined Byker Library aged about 7 or 8, coming across The Supernatural Omnibus edited by Montague Summers – and a story by J. Sheridan Le Fanu called ‘An Account of Some Strange Disturbances in Aungier Street’.For some reason – perhaps the old-fashioned and straight forward way the tale was told, I believed that this was a true story, not fiction – and it terrified the daylights out of me. Years later, when I won Manor Park school’s Fourth Year Art Prize (1966), this was the book that I asked for as a prize, and it still sits on my study shelf. When Mark asked for submissions, I began a story that just kept growing and growing. I’m never quite sure how long one of my ‘short’ fictions will be when I begin, but as the deadline loomed larger I realised that what I had in mind was developing into a novella and I’d never have it finished in time. So I had to put it to one side, had a quick look in my ‘Ideas’ file and came across a scribbled title and note that I’d been meaning to develop for a long while. In an adrenalin boost fueled by Marks imminent deadline, ‘The Slista’ emerged. As to its actual inspiration, a mispronunciation by a little Geordie girl that I heard many years ago. 3. How would you describe the kinds of stories you usually write and does this Spectral Book of Horror story depart from that? I’m a horror writer, and proud of it. 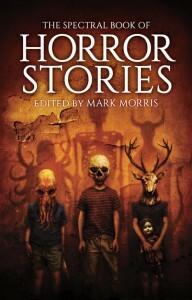 One of the shuddery and pleasurable memories I have over the years was of picking up a new Pan Book of Horror Stories – something I know that many of us share – and indeed, Mark’s purpose in creating The Spectral Book of Horror Stories is a homage to that, and to create something in the same (hah) ‘vein’. When I was first published, I was so keen to have one of my stories in a Pan horror collection and, thanks to Steve Jones, this was something that I managed to achieve. I’m delighted to have a story in Mark’s first Spectral collection and am looking forward to acquiring and reading others in what I hope will become a long running and well regarded series. Wheels West by Homer Croy – the true story of the ill-fated Donner expedition in the Old West of America. This entry was posted in News, On Writing: General, On Writing: Short Stories and tagged An Account of Some Strange Disturbances in Aungier Street, J. Sheridan Le Fanu, Mark Morris, Pan Book of Horror Stories, Simon Marshall-JHones, Spectral Book of Horror Stories, Spectral Press, The Donner Party, The Supernatural Omnibus edited by Montague Summers, Wheels West by Homer Croy. Bookmark the permalink.